yep, all these tube combos weigh as much as my eldest child. this one is gorgeous and right in my price range. Bought it. Comes in next week. w00t! srsly, tho, i think it was just time that i try making sounds differently. marshalls have been my rig's foundation since 1996, and each one i have used has been progressively better than the last. 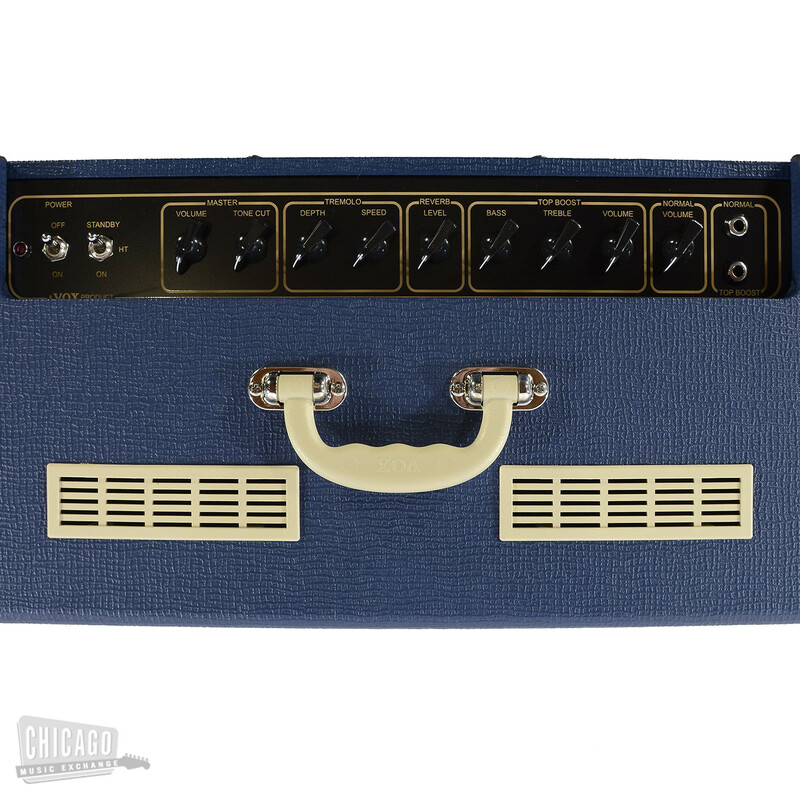 i've also always preferred foot-switching to an amp's second (third, fourth) channel for different gain settings instead of the stomp box method of just adding and subtracting pedals on the fly. this reboot with the band kinda had me start from a fresh perspective. i don't want a separate head, i don't need 100 watts, and i do want something with a REALLY GOOD clean channel instead of marshall's meh-to-somewhat-decent one. this was made very clear to me when (getting back to the "equipment you don't like" theme) when i had to play through a jcm 900 last week. the clean was so thin and terrible compared to what i look for now. i probably could have tweaked with presence, mids, and bass for a better tone, but it just seems so effortless with a twin and an ac30. to be fair, the clean channel on the green setting on my jvm is the most un-marshall sounding clean tone i've ever had. no complaints. That looks brilliant. I love the JVM and thought you were mad for changing, but that looks class. Funny, back in 1996 I used to hate Fender and Vox amps. I thought they were way too bright. Now they're the first two amp brands I consider. I just got my old 1978 Vibrochamp back this weekend (a friend was borrowing while I was in Taiwan), and it sounds amazing. I have also discovered I like humbuckers with these bright, clean combos. The Vista Jagmaster is loving the DRRI. I'm sure your Jag HH and AC30 pair nicely. oh hell yeah, the jag's p90's absolute soar through the ac30. i wonder if series-wired trisonics brian may uses have a similar voicing to them as the 90's. his have always been among my favorite tones, and he's long been an ac30 user. believe me, it took a lot of soul searching to reach that conclusion. i may end up getting another jvm years from now just for the silent recording feature. between the three stages of gain on four channels, you basically have 12 different tones, all tube. but, in the end, i've been spoiled in having a class A marshall to record with in my bedroom for all these years without upsetting the neighbors. now that i'm about to start playing out again, i realize i don't need 100 watts, a 4x12, or a $2,000 amp sitting there. plus the space it takes up... it must be old age causing all this sensibility! I'm excited for you and your new setup mate, it looks fantastic. 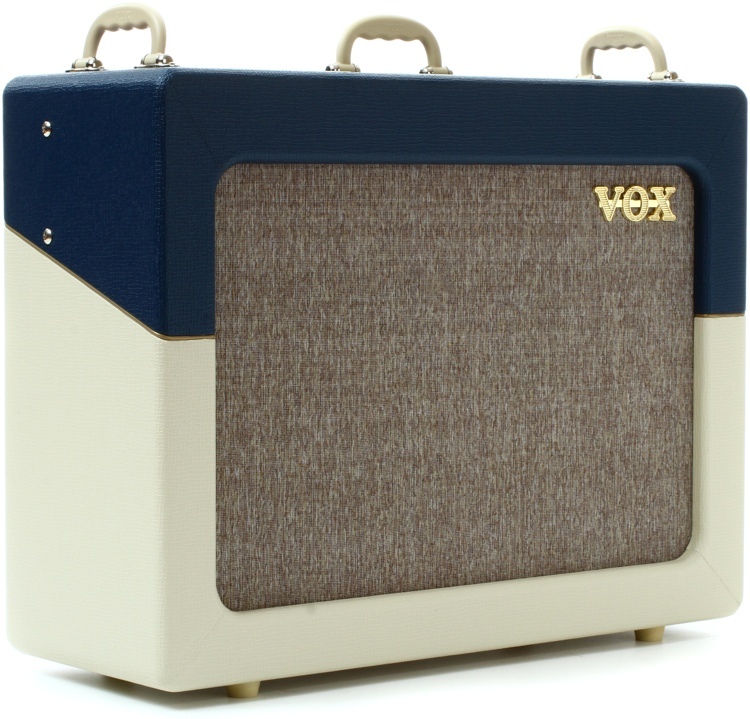 I've always wanted an AC30. Maybe one day. Currently I'm using Amy's old Squier 10W SS Practice amp. You'll never manage it. there is magic in this box. 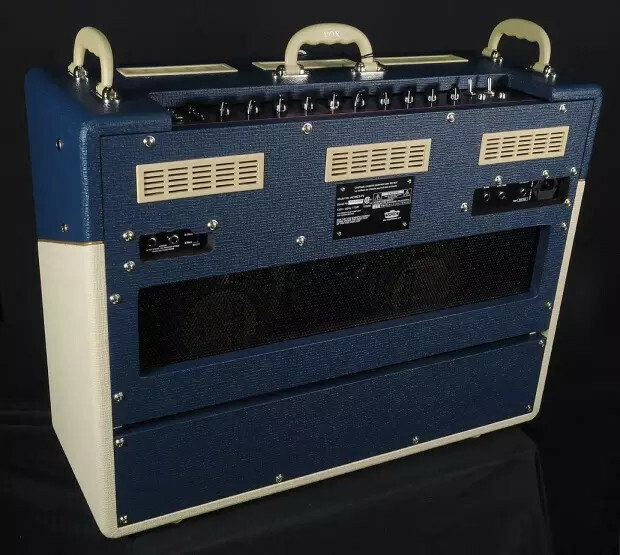 I may have cloth ears but a guitar into any pedal I build then the Harley Benton American Sound (TECH21 Blonde clone) and through this thing set clean acting as a headphone amp sounds DELISH. Does the Harley Benton not have headphone out on it? 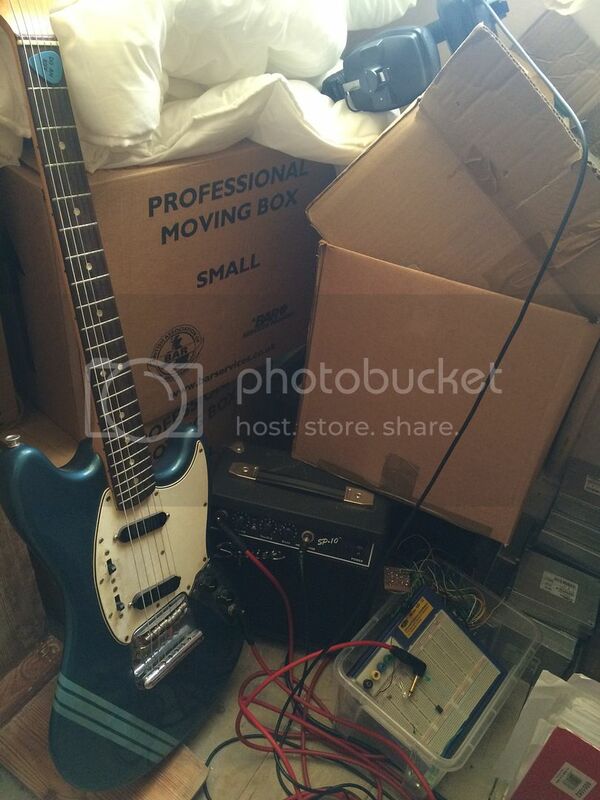 I thought those things were DI boxes, and headphone amps all in one, or are they more like stompboxes. They're stompboxes basically. Just a single output, no headphones or anything. Nah, the Tech21s don't have that either, though they do give you the option to switch on and off speaker sim which makes them play better with some amps. the Harley Benton is speaker sim always on meaning it's designed to go into your DAW or a PA, or other linear power amp. But the EQ is responsive so with a neutral clean channel they can also sound great into an amp. It's crazy how good they sound, you can take a dull clean sound and make it sound like a blackface Fender clean sound. For about �15. Making them Almost an ideal solution for having to gig with gear you don't like. Quite funny, all the gear I have and to be honest, the Behringer Tube Amp Modeller pedal makes anything sound good. I prefer the clean Mesa setting. Keep meaning to get a Sansamp version, so I've got the 'real deal', but in truth there isn't any point. i have two of the sansamp clones. they're great. ac30 version is great going into an amp.